Jan Butler Loveless, PhD, President and Founder of J-Bar Ranch Center for Experiential Learning, is a career educator with K-12-university and corporate teaching experience. During her decade of residence in the San Joaquin Valley, Dr. Loveless has taught developmental English to students at College of the Sequoias; directed a Reading Comprehension Research study funded by the Chancellor’s Office of the California Community College System; supervised student teachers of English for California State University, Fresno; and taught graduate students in Chapman University’s Master of Arts in Teaching program. Dr. Loveless’s doctoral specialties include reading theory, multicultural education and the politics of literacy. Appointed by Secretary of Education Richard Riley to the National Assessment Governing Board, Dr. Loveless became well versed in the national statistics of academic failure. 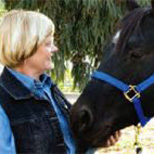 As an equine-facilitated educator, Dr. Loveless holds Equine Assisted Psycho- therapy Level 1 certification, is a former member of the Equine Facilitated Mental Health Association Board, and is a member of Equine Growth and Learning Association, North American Riding for the Handicapped Association, Equine Growth and Education Association and numerous equine breed-specific associations. 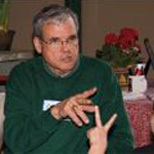 Dr. Loveless serves as education director and lead instructor at J-Bar Ranch. 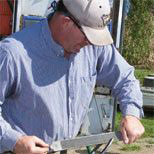 Sid (“Buzz”) Loveless, MS, Managing Partner of J-Bar Ranch, is a retired human resources director of The Dow Chemical Company, and as training and special projects coordinator for CASA (Court Appointed Special Advocates) of Tulare County. At CASA, he recruited and trained adult advocates for abused and neglected youth detained by Child Welfare Services and placed in foster care. A dedicated volunteer advocate for teenage boys in foster care, Mr. Loveless is also an accomplished horseman. He grew up with horses, riding both English and Western and assisting his father in running You, Tomorrow, a non-profit organization that taught horsemanship, equitation, camping and gun safety to thousands of Bryan/College Station, TX-area youth. For more than a decade, Mr. Loveless assisted annually in driving his family’s mule-drawn wagon on the Salt Grass Trail Ride to kick off the Houston Livestock Show and Rodeo. An outdoorsman and creative problem-solver, Mr. Loveless is an Eagle Scout, a former Boy Scouts District Chairman, Cubmaster, Scoutmaster and Explorer Leader. He serves as primary horsemanship instructor and oversees project logistics for J-Bar Ranch. 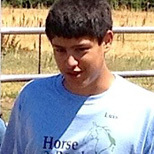 Luis Gonzales is a recent graduate of California State University, Fresno, in Animal Science; Equine Science. Luis has worked part-time for J-Bar through high school and college. He's gifted at interacting with kids and horses. Angela Gonzalez is a senior at Woodlake High School who is not yet sure of her choice of colleges or her major--but she's making good grades and keeping her options open. 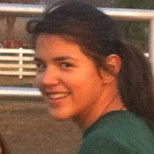 She's very artistic and loves working with kids in Horse & Reader.